We are leading importer and trader of polyester lining fabric used in men suit and jacket. We provide all type of lining cloth in polyester, viscose & Nylon in all colours & construction like Taffeta, dobby, satin & Jacquard. We are offering Dobby Satin Lining Fabric to our clients. We provide high-quality products to our clients. Product customization is available. 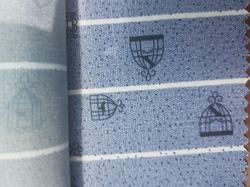 We are offering Jacquard Lining Fabric to our clients. We provide high-quality products to our clients. Product customization is available. We are offering Polyester Dobby Lining Fabric to our clients. We provide high-quality products to our clients. Product customization is available. 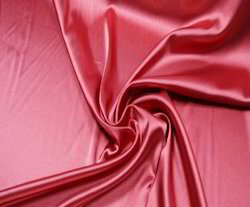 We offer fine quality of Polyester Taffeta that are used for both garments as well as furnishings. It is renowned as one of the oldest luxury fabric that has smooth, firmly woven and fine texture. Product customization is available. We offer Polyester Dobby Satin Lining . Our offered fabrics are fabricated by industry known experts utilizing the optimum quality yarns, bought from the reputed sellers of industry. We offer Polyester Jacquard Lining . Our offered fabrics are fabricated by industry known experts utilizing the optimum quality yarns, bought from the reputed sellers of industry. we are involved in offering wide range of Polyester Printed Fabric. These are entirely produced using highest quality raw material and with this help of latest technology. Offered range is available with us in various colors, designs and prints. To ensure their quality and flawlessness our provided fabrics are stringently tested on various parameters.